Your palms are sweaty, you’re lightheaded, and feel a little nauseous. That sums up my first day in kindergarten. This is a normal physical reaction to any of the daily stressors that all people face. Job interviews, signing your first mortgage or telling someone bad news are all examples of situations that produce a fair amount of stress in most people. Anxiety is a natural reaction to worry or fear. It primes our body for that famous fight or flight mode designed to help us stay focused and alert, ready for action when we sense danger in our environment. 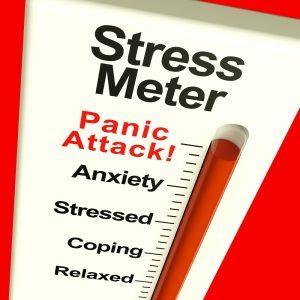 Many people feel anxious during a stressful episode and come out unscathed. The physical and emotional signs of stress dissipate after the stressful event ends. For some, though, it can lead to anxiety that persists. But what happens when that becomes your every day? For a lot of people, it is. They do their best to hide it, but inside, their body is in a state of constant turmoil. And of course, with everyone trying to hide their worry and act like nothing bothers them, when we feel anxious we feel like we are somehow different, or weak. 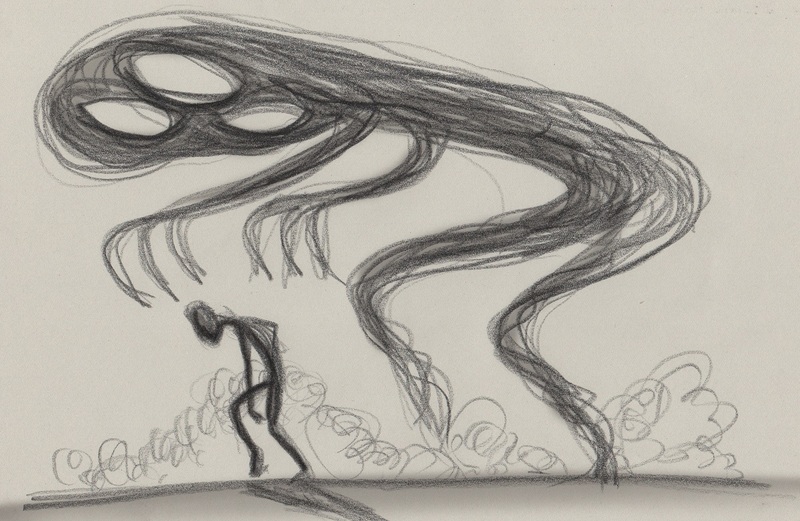 By hiding it, we perpetuate the misconception of anxiety being a weakness. The fact is that 40 million adults (18 years +) have some form of difficulty with anxiety each year. That’s 18% of the adult population. It is believed that the number impacted by this is actually much higher than that because so many people deny what they are feeling, or try to just deal with it themselves and don’t report it or seek help. If stress and anxiety is something most adults struggle with, how can we possibly expect our heroes – the people whose job it is to keep us safe – to not have anxiety? Dealing with stressful situations over and over as part of your daily life can result in your body and mind being on high alert, all the time. Career Cast ranked 218 jobs on the level of stress involved for 2018, reviewing them on 11 factors such as Physical Demands, Environmental Conditions, Hazards Encountered, Risk of Death or Grievous Injury, and Immediate Risk of Another’s Life. There is a positive aspect of anxiety when you’re on the job, as your adrenaline is helping you fight that fire, keep someone alive, or protect yourself and others from people who might want to do you harm. But how do you turn that off once your shift is over? How do you deal with witnessing people die, seeing massive destruction, and fearing for your life on a regular basis, yet have the emotional strength to get up every day? One method a lot of people use to deal with that level of stress and keep going every day is by learning to tune it out. On the job you’re focused, but you don’t want to think all day, every day, about the horror you face. So you’ve learned to clear your mind of those memories and numb yourself to the situation. Just because you aren’t thinking about it, though, doesn’t mean iy isn’t still there. The emotional and physical reactions to those highly stressful situations are still stored in your body and mind. When does that storage space become too full and start overflowing? When does normal anxiety become more of an issue? Besides being the most common mental health condition diagnosed in the U.S., an anxiety impediment is when you can’t turn off that constant state of worry and hypervigilance, even when you know your worries are probably unfounded. Most importantly, it becomes a real factor when it starts bleeding into other areas of your life and becomes an obstacle you have to get past or avoid in order to keep going every day. Some people might think – I make it to work every day, I take care of most of my basic needs, so it isn’t really affecting my life; therefore, it’s not a problem. Being able to keep a job and a roof over your head, while important, aren’t everything you need to live a happy and fulfilling life. Have you started to avoid certain situations or places? Do you find yourself unable to stop the worried thoughts in your head? Do you workout less, have a harder time getting up in the morning, or had any part of your personal life change because you can’t handle as much lately? Bad dreams? That means your storage space is starting to overflow and affect the rest of your life. What Are the Symptoms of an Anxiety Condition? Mentally, it is an inappropriate level of concern about an outcome that is unlikely to happen that just won’t go away. 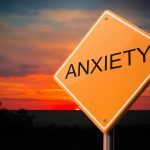 With anxiety conditions, you can become fixated on those concerns, they trouble you on a regular basis, and create a real struggle in your day to day life. You might be surprised by some of the symptoms of anxiety. Those are all valid signs of anxiety. Some of those you might associate with depression, but they are also short and long-term effects of anxiety that goes untreated. The symptoms each person will experience depends on their particular situation, and varies a lot among different people. There are several types of anxiety conditions and diagnoses, with a wide range of symptoms that can present in a person. They range from a general sense of anxiety that won’t go away, to specific phobias or triggers, and even panic attacks. The degree to which we respond to stress differs from person to person, based on numerous factors, like our personality, genetics, brain chemistry, and life events. The Important thing is to seek help early when you start recognizing some of these signs. You’re a hero, a lifesaver, a warrior. You’re the one who helps others when they are afraid and often put your own life on the line in the service of others. You face enormous levels of stress more regularly than people in other careers. Don’t struggle and suffer in silence. If you are seeing any of these symptoms in yourself and they persist, that means your storage is full, and you need to unload some of the baggage before it really starts impacting your life in more serious ways. Even better – when you see a friend or co-worker you think might be demonstrating any of these symptoms – Reach Out. Start the conversation. Share your experiences. Help one another.